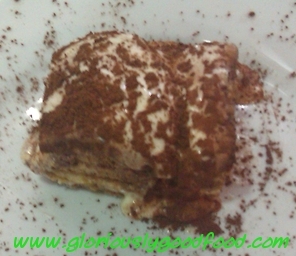 Have you ever eaten Tiramisù and wondered how to reproduce that authentic delicious flavour? It is actually quite a simple recipe to make, yet so ‘moreish’ and exquisite that it will always raise a lot of ‘ooohs’ and ‘aaahhhhhs’ from your dinner guests! Sign up to my mailing list to receive my authentic Tiramisù recipe (as well as regular blog updates – max. once a week) to your inbox. My Tiramisù received plenty of accolades and smashed the competition on ITV’s Britain’s Best Dish in 2011! Would you like to receive the Tiramisù that was described by Jilly Goolden as “very moreish” and “delicious” and by John Burton Race as “heavenly”? SIGN UP to the mailing list now and receive the recipe straight to your inbox. “Moorish” – means about the Moors – medieval Muslims; or moors – an area of treeless high ground. I think you mean ‘moreish’ because we like to eat more of it. You are absolutely right, of course; I stand duly corrected 🙂 Thank you.